I know it's officially winter when my oily skin becomes dry and I'm craving a healthy glow. Kismet Cosmetics came out with their Lovely Illuminators just in time. These liquid illuminators are easy to blend for a seamless, natural look. Want even more glow? You can even mix them in with your foundation. Each illuminator comes in an exquisite jar with a gold lid that looks so fancy out on display. I've had mine out on my vanity ever since I got it. The shade I have is Rosy, it's gorgeous! If you have light skin but get very tan in the summer, Goldie would be a great summer shade! Afterall, there's nothing wrong with a glowing complexion all year long. 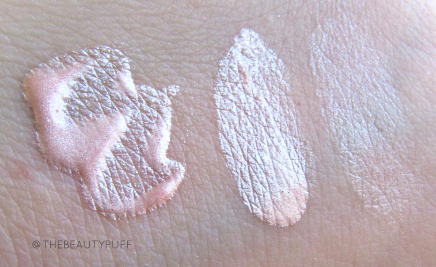 I took this swatch photo in natural light - a more concentrated swatch and then blended out. A little goes a long way with this illuminator and you can apply it with a brush, or blend with your finger tips. I have worn Rosy mainly with liquid foundations and BB creams but it also looks fabulous under powder foundation. Simply moisturize, prime, add a touch of the illuminator, then finish with the powder of your choice. 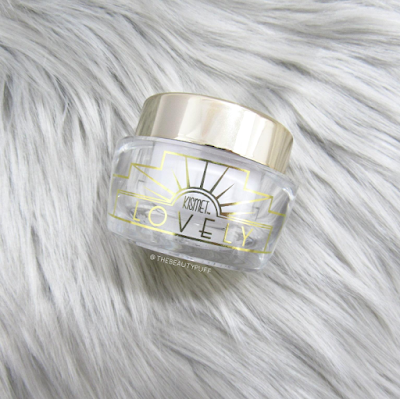 It lasts all day and gives the skin a beautiful, luminous glow. 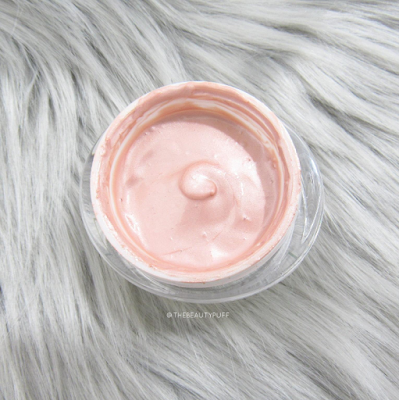 You may be wondering, since these are a liquid formulation, how can you use the product in a sanitary way - other than just dipping in your finger. I have a makeup spatula (which is very inexpensive) that I use to get just the right amount out, while keeping the remaining product as sanitary as possible. You can use a number of things, but this just happens to be what I have on hand. Whether you are looking to give your winter skin a boost, or looking forward to a fresh spring look, these illuminators are fabulous. I can't wait to use Rosy on those warm, sunny spring days. It will pair perfectly with all those pretty spring blushes! Not sure which shade is right for you? Upload a selfie to Instagram and #MyKismetColor to get a professional recommendation!